In view of the process of symbolic ideation, saussure divided symbols into signifier and signified connection from the perspective of structuralist semiotics. From the perspective of American pragmatic semiotics, pearce proposed the famous symbol tripartition method, namely the reproducible body, object and explanatory item. These are two theories that have great influence in the field of semiotics. As a methodology, semiotics is applied in various fields and disciplines, including, of course, our "seventh art" -- film. On December 28, 1895, the lumiere brothers went on sale for the first time in the basement of the grand cafe, no. 14, kapussin road, Paris, marking the official birth of cinema. In 1911, giotto e. Canudu published the seventh declaration of art, which declared for the first time that film was an art, a "seventh art" that integrated the six arts of architecture, music, painting, sculpture, poetry and dance. As the "seventh art", film is a comprehensive art that includes the static art and the moving art, the time art and the space art, the plastic art and the rhythm art. In the context of French structuralism, Christine? In 1964, metz published a lengthy paper, "film: language or speech?" For the first time, saussure's semiotic principles were introduced into the research field of film. Film semiotics exists as a subject. The formation of film semiotics has a great impact on the pattern of film, which provides more possibilities for the interpretation and development of film. Film is one of the important means of mass media, and a large number of symbols often appear in films. To interpret a film with semiotics can help us have a better understanding of its meaning and inner deep meaning. As a successful film, the room has many symbols and their symbolic meanings. The interpretation of these symbols can help the audience better appreciate the film and understand the theme the director wants to express. The film is called Room, which translates to Room in Chinese. This "room" not only refers to the real space, but also refers to the psychological space of the hero of the film. Less than 10 square meters of room, is the place where Joe and jack imprisoned, but also jack's world. After being rescued, joey and jack are not adapted to the outside environment. At this time, they have a "room" inside. This room is different from the real outside world, which separates joey and jack from the people outside the "room". This "room" is a form of self-preservation. Finally, Joe and jack return to the trapped room for the last time, and then go out of their "room" to reintegrate into the world. 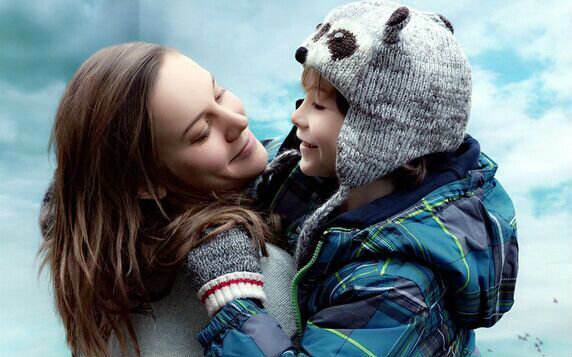 Therefore, "room" is not only the narrative line, but also the creative line of the film. From room to room, and finally out of the small room, into a large room, this is the protagonist of the psychological distance change. The "room" symbol in the movie makes the theme of the movie more profound and meaningful. 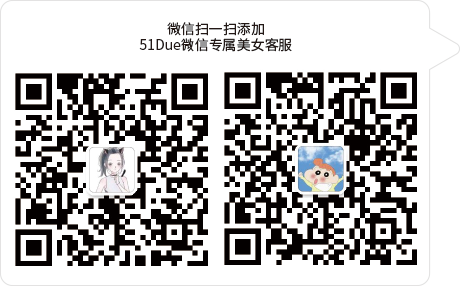 Professor lu zhenglan once said that all artistic symbols, including music, have explanatory terms. In other words, music is meaningful, just different from any other kind of ideation, it's a variety of reactions that are triggered in the viewer's mind. As a component of movie symbols, the film soundtrack can enhance the expressiveness of the picture, deepen the theme of the film, and enable the audience to better understand the intention of the film-maker and the emotion the film wants to express. At the beginning of "the room," with Stephen Rennicks's gentle, lilting music, a long-haired five-year-old boy wakes up in bed with his mother. "Good morning lamp! Good morning plants! Good morning wardrobe! Good morning carpet! Good morning TV! ...... "Mother and son get up and start activities, cleaning, sports, games... The audience will think that this is a mother and son living a relatively poor life, but they are very happy, the little boy is very optimistic, lively. At this time, warm, light music highlights the mother and son are simple but not warmth of life. Teeth and hair are part of the human body. In the film, the little boy jack keeps one of his mother joey's broken teeth. When joey plots jack's escape, jack is excited but more scared because he doesn't know what kind of world he's in. His mother's tooth gave him courage, this tooth is like his mother to accompany him, let him not so afraid. After the mother and son escape, joey can not adapt to the outside world, can not adapt to the world completely different from her memory, she suffered from depression, even do not have the courage to continue to live. Jack asked his grandmother to cut off his long hair and take it to joey in the hospital. Because jack's hair gave joey courage, she finally walked out of her inner room. Joy's teeth and jack's hair represent a kind of companionship and power in the movie, which is a tool for mother and son to redeem each other. Montage is the main combination of film symbols. Montage combines the lens to present the real world but different from the real world. In the movie "the room", there are many subjective shots taking the perspective of jack's eyes, presenting everything that jack sees. Through these subjective shots, we not only explain the environment, but also show jack's inner feelings. Jack lives in the small room to see the lens inside the room, and finally go back to see the camera in the small room contrast, fully illustrates the change of jack. Because he thinks this room is not the same as the previous room, in fact, the room is the same room, but after jack contact with the outside world, the vision becomes wide. What was once a small room for the whole world is now a narrow room. After joy and jack are saved, they meet again. The dialogue is cancelled and the scene of slowing down the pace makes the feelings of joy and jack's meeting become very strong, which deeply affects the audience. Even if you can't hear what they are saying, the audience can still feel the joy and emotion when the mother and son meet. Long shot is also the symbol combination of film. Long shot is documentary and can enrich the expression of film. At the end of the film, joey and jack go back to the room where they were imprisoned, just to see the world again. They said goodbye to the room and walked off hand in hand. This video USES a long lens, from they walked out of the room, across the courtyard to get on the car, the camera has been facing their backs, the sky also began to snow. This long shot is both the end of the movie and an account of the future of joey and jack, as they walk out of the "room" and move into a new life in the future. "The room" is a low-budget movie with no big actors and no big scenes. Most of the scenes are in the room, and the characters are mainly mother and son. However, such a low-budget film has won both commercial and artistic success. Up to now, there are many Chinese films, but not many good ones. The reason lies in the lack of attention in production and the blind pursuit of commercial value, which ignores the real meaning and value of the film. In order to attract the box office, many films will choose big productions, famous actors and big scenes. Due to the lack of connotation, even if they gain temporary economic benefits, they are not good films. In the film creation, we can reasonably use the symbol principle, pay attention to the performance of the details of the film, so that the film has more depth and connotation. In the setting of the story and plot of the film, it should be structured and systematic, so as to well convey the theme of the film and arouse the emotional resonance of the audience. Applying semiotic principles to film creation can create more artistic and profound films.